The Center operates out of an ethos that values the integrity of all religious traditions and spiritual expressions. The Center’s approach is enriched and strengthened as we integrate the language, symbols, and frameworks of all those who live out a faith practice or spiritual commitment. People of faith bring two unique and transformational gifts to the movement to create health equity: Moral Imagination and Spirit Power. Our faith traditions hold powerful truths about what it means to be whole and healthy as individuals and communities. We have a vision of health that does not settle for just the absence of disease, but that embraces abundance, justice and the opportunity for everyone to live out their highest spiritual capacity. We claim this vision and raise it as an important contribution by people of faith to the work of health justice. Spirit power is the sense of calling and conviction that comes from faith that drives us toward and through work that seems beyond us. It is the belief that we are empowered by a source of love and healing to reach farther than we could on our own, to do things that are considered impossible. It is the power that is inherent in the gathering of people who share this calling and belief. Community is our measured unit of health. We are shooting for outcomes that shifts health indicators across whole communities rather than just for individuals. Creating health equity means tending to the health of both individuals and the larger community in which they are held. The individual and the larger body are interdependent. Science tells us that when we have communities where people have steady work, decent housing, good schools and safe places for their kids to play, access to quality health promotion services and medical care, they are healthier. When you have communities with a culture of mutual caring and accountability, people are healthier. The aim of The Center is to help support this kind of Loving Community culture so that all people are healthy: They have the best possible physical well-being and the ability to enjoy life, live out their highest spiritual capacity and contribute positively to their family, community and society. The Center is committed to being a humble, authentic and learning partner with communities. Defining community—Because communities have historically been defined by outside forces for convenience or political or economic purposes, The Center expects an identified community, whether geographic or defined by population, to identify its own parameters. Listening and active relationship building will be crucial to the Center’s ability to join in the tables the community has already created or to bring different voices to the table. Being clear about who we are, what we do and what our approach is, is necessary to have an authentic relationship in the community. Both the community and the Center need to be clear that there is a good match of perspective and approach before entering into a partnership. There is no way to form effective solutions to intractable problems without seeing, understanding and unraveling the systems that have converged to support and maintain them. Racism and the unfair distribution of wealth are the fundamental systemic realities that are at heart of health injustice. For all of its initiatives, the Center will ask how racism and poverty are at work and integrate this analysis into its program design. Clearly as we do this work, we will encounter significant power issues. Affecting health in the way that we are talking about means challenging political and economic structures. Many communities already actively engage at this level, but the Center will have to be clear about what its capacity andagenda is around policy and advocacy. The three partner organizations of The Center all hold considerable power and resources in communities. Each has strong vested interests that the organizations will want to protect. The partner organizations may be named as part of the systems of injustice that have impacted the community. There are some actions or interventions that The Center will not be able to lead or pursue because they will be counter to the positions of the partner organizations or because of political constraints. Transformation is a mutual process. It is not just the community that needs to change. Certainly the collaborative partners will have to be honest, non-defensive and as open as possible to hearing the experience and concerns of the community and make systemic changes internally as vigorously as possible, even as we live within the reality of the limitations of our organizations. The Center draws on approaches that help articulate and move an agenda of life and hope. We are not simply against health disparities or injustice. We are for life and for Loving Community —people living, loving and working together to their greatest potential. Gary Gunderson has identified five leading causes of life that are at the core of what gives and sustains life in communities. Blessing/Intergenerativity—the way in which generations support, inform and influence each other. Coherence—how people make meaning out of their life experience. Agency—whether and how people feel like they have the capacity to act on their own behalf and for others. Connection—the way in which we build and share relationships that are constructive and fruitful. Hope—our ability to “remember the future,” to project ourselves into the future rooted in the faith we have because of our past. The Center itself is a collaborative enterprise and each partner characteristically operates through collaboration. This value and experience influences how we understand the nature of the work in community. We understand that the work of eliminating health inequities—the work of creating loving, just communities—is so ambitious that it cannot be accomplished unless we intentionally seek out and draw in anyone who is willing to work. 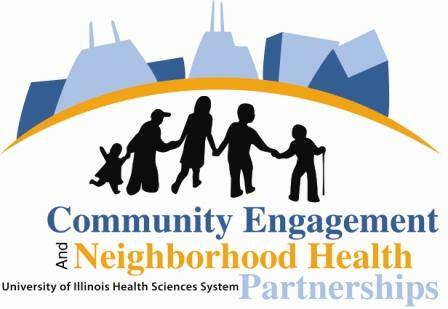 The Center works under the expectation that there is a shared investment in the goal of eliminating health disparities in the community and that all partners will bring forward their strongest assets and share them as freely as they are able. This work does not belong to one group and cannot be solved by one approach. No one philosophy of change holds the answer for how to create the kind of loving, healthy communities to which we aspire. All those with a stake in eliminating health disparities in the community will be invited to be at the table. We say this, understanding that people and organizations always have their own self-interests and concerns and respecting the need of institutions to maintain those interests. Organizations may be able to best participate in the collaborative work if they are as clear as possible within their own membership and with other partners about what they can bring to the table, what they cannot and what their needs are in relation to the work. This also allows for honest communication and clarity about what we actually have to work with as a collaborative group.